Meet Sushant Jha, The Man Who is Unburdening Landfills By Reducing Paper Waste. Meet Sushant Jha, a waste warrior who aims to eliminate paper waste from India’s landfills by providing as many as second-hand books as he can and thereby inculcating the habit of reusing paper products. :A mechanical engineering and a MBA degree, notwithstanding, Sushant Jha from Delhi was rejected by some 40 firms. More than his qualifications his disability proved to be a huge impediment to his career prospects. Sushant suffers from cleft lip and that has left him speech-impaired. Given his rate of rejection when it came to job applications, Sushant decided to start something of his own, with an intent to make a difference. The environmental consequences of paper and how deforestation is slowly killing our planet, was something that struck Sushant as an area that needed work. Because India lacks proper waste management system, most of the time the paper waste generated adds to the garbage pile of the already overburdened landfills. Today 25% of landfill waste comes from paper which could have been saved by simply recycling or reusing paper. India consumes 10 kg of paper per person per year and thousands of trees are cut every year in order to produce it. With an aim to tackle this paper waste, Sushant with his brother Prashant started Bodhi Tree Knowledge Company, together with an initiative Padhega India in 2014 in New Delhi. The Padhega India initiative promotes the use of second-hand books among people. It also provides second-hand books to those who otherwise have no access to expensive academic books or novels. It is like an online venture where people can buy, sell, rent and donate second-hand books of all kinds – from text books to comics, novels, magazines, everything is available at Padhega India website portal. In India there are about 83 million avid book readers as of now and the reach is expected to grow in coming years. Now just imagine how much paper is being wasted because of new books being published regularly. 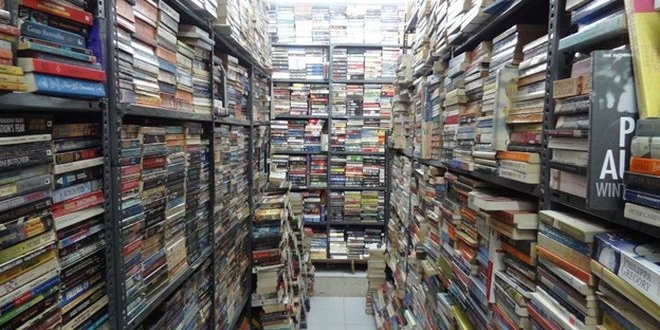 I just wanted to put an end to that mass production by making a chamber for second-hand books, said Sushant Jha who is a proud owner of 5 lakhs second-hand books as of now. By encouraging the sale of second-hand books and increasing their availability, Sushant is aiming to significantly reduce this demand for paper in the country, which in turn would reduce the burden on trees and our dying landfills indirectly. 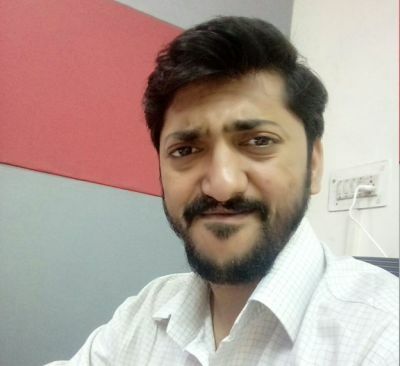 To measure the success of the stated goal of reducing the demand of paper, Sushant has devised a measuring scale called Green Count (GC) on his website. Explaining his venture in greater details, Sushant adds, since per capita per year usage of paper in India is 10kg, therefore if we earn 250 Green Count it means we have catered the paper need of one person per year by promoting book reusability practices. This means every 250 Green Count earned by us reduces demand for paper production in our economy by 10kgs. Padhega India is currently available only in Delhi NCR and will soon expand across India. Till now the venture has received 40,000 enquires across India and Sushant’s ultimate aim is to spread it as much as he can. My goal is to make people aware about using second-hand books, when they will know they will buy. This is the bit everyone has to do for the planet they live in. People are being taught waste management now because our country is currently grappling with waste crisis, but, rarely anyone is being told to reuse the things which they can with an ease. Books are one of those items. By this initiative, I aim to do just that, signs off the waste warrior Sushant. Previous Post: I-Clean Gang Shows Us The True Meaning Of Being ‘Selfless’ And Cleans Up Dirty Spots Of Bhopal. Next Post: ‘Compost Banao Compost Apnao’. These Puneiites Teaches Simple Art Of Composting To 600 Families Via WhatsApp.